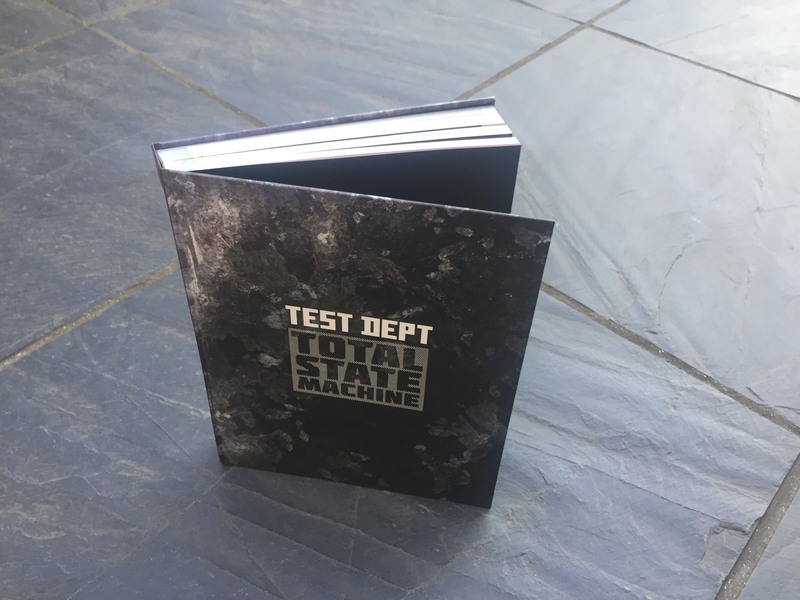 ‘Total State Machine’ is published by PC-Press www.pc-press.co.uk and is a unique historical document and visual representation of Test Dept, one of the UK’s truly investigative agitators, authentic industrialists, utilisers and recyclers of society’s debris. 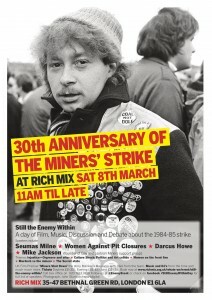 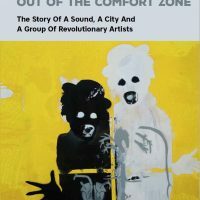 The book also contains original artwork, photography and documentary images of the group from all periods of their work. 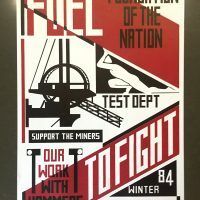 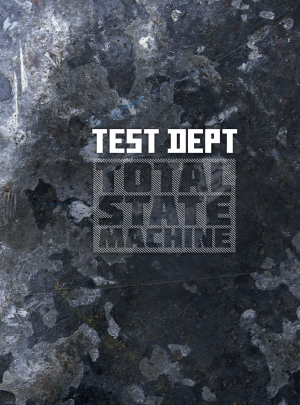 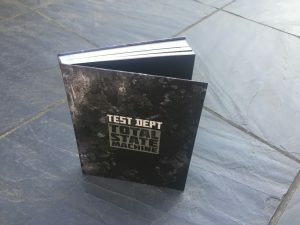 ‘Total State Machine’ is published by PC-Press and is a unique historical document and visual representation of Test Dept, one of the UK’s truly investigative agitators, authentic industrialists, utilisers and recyclers of society’s debris. 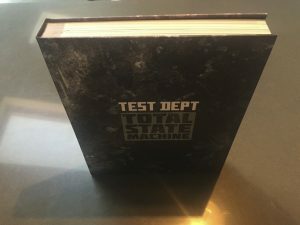 Printed on high quality art paper, the book contains chapters and reflections from Paul Jamrozy, Graham Cunnington, Angus Farquhar, Stephen Mallinder (Cabaret Voltaire), Robin Rimbaud (Scanner), Marek Kohn, Malcolm Pointer, Ivan Novak (Laibach), Alan Sutcliffe (Kent Miners) and many more with an introduction by Alexei Monroe and Peter Webb. 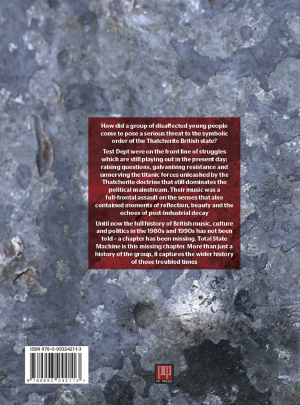 The book also contains original artwork, photography and documentary images of the group from all periods of their work. Each chapter details the different periods of their work and has reflections and essays from the group and a host of contributors who were involved or affected in some way by the work of Test Dept. 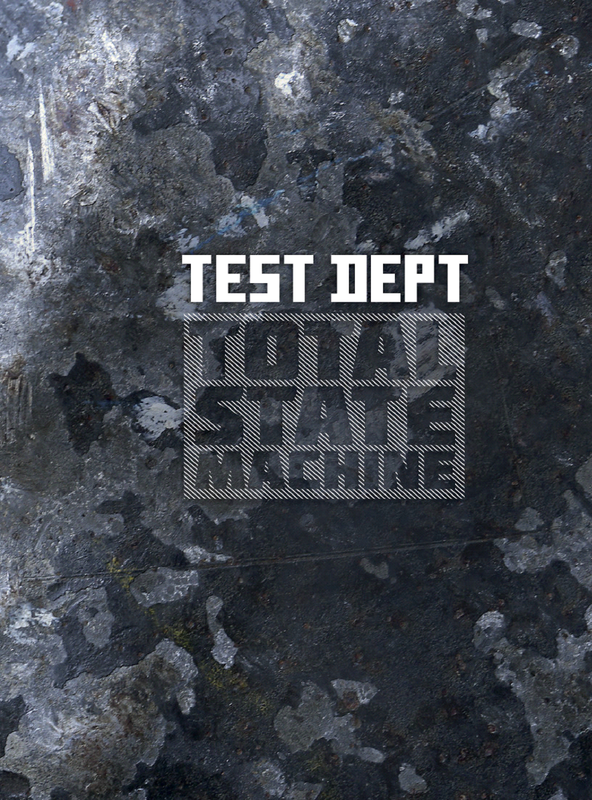 These will be one Poster: An original Test Dept reprint archive poster. 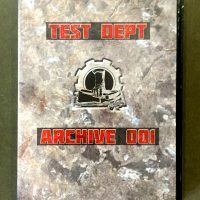 A DVD of archive Test Dept film and video. 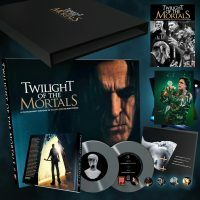 A live recording produced on CD with unique cover art.